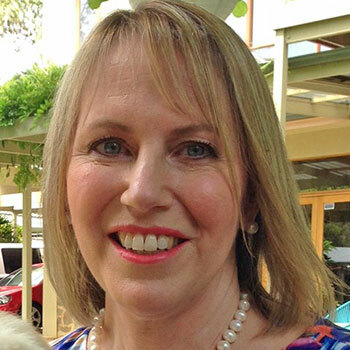 Dr Rachel Gronke MBBS (Adelaide) graduated in 1984, and worked in general practice for over 20 years. In 1994, Dr Gronke commenced working in cosmetic medicine, primarily performing sclerotherapy (which has remained a prominent part of her practice) in addition to her GP work. She puchased Laser Skin and Vein Clinic in 2007, a well established cosmetic medical practice in North Adelaide, where she performed a range of treatments including sclerotherapy, anti-wrinkle & dermal filler injections, laser hair and tattoo removal, laser for vascular and pigmented lesions, laser rejuvenation,and skin needling. Dr Gronke attends numerous national and international conferences and training workshops as she passionately believes in maintaining a broad-based, up to date knowlege of an industry which is evolving so rapidly and where the learning never ceases. Having recently sold the clinic, she plans to dedicate more time to clinical practice and working with the college and attending conferences. She holds a Diploma in Cosmetic Medicine from ASCM, is a Fellow of ACAM, a full member of CPSA, a member of Australasian College of Phlebology, the ANZ Society of Phlebology, ASLMS, and the AMA. Dr Jasbir Singh Narulla was born and completed pre tertiary studies in Singapore. He was awarded Colombo Plan Scholarship to study medicine in Australia and qualified MBBS in 1980 having got his B. Med Sc. in 1977. He has worked in hospitals in Tasmania, South Australia and NSW and initiated medical practices on Adelaide and Tasmania. In 1999 Dr Jasbir Singh Narulla began work in aesthetic medicine and gave up general practice. He was one of two doctors to first use Pulse Light in Tasmania. He has represented Tasmania on the executive of CPSA. He has spent over 10 years mentoring doctors and medical students. Dr Sharron Phillipson is a General Practitioner with a special interest in non-surgical cosmetic medicine since the early 1990's. A graduate of University of Newcastle, she attained the FRACGP in 1993 and commenced the Elizabeth Medical centre in North Sydney which expanded to include The Elizabeth Laser and Cosmetic Medicine Centre in 1997. She founded the North Sydney Medical Practice and Skin Cancer Clinic in 2004. The surgery is recognised by the Sydney Institute General Practice Education and Training and regularly takes trainee general practitioners. Dr Phillipson attained the Diploma of Practical Dermatology (University of Wales) in 1998. She is a member of the International Society of Cosmetic Laser Surgeons and completed the American Board of Laser Surgery by examination in 2000. 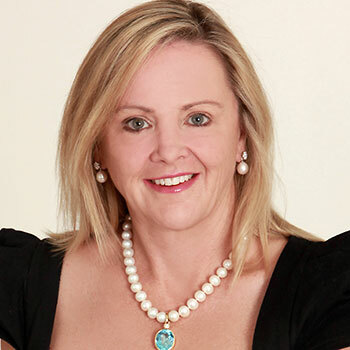 Dr Phillipson is the founding president of the Australasian Society of Cosmetic Medicine and convenes an annual Laser and Cosmetic Conference since 2000. She has been the chairman of the Laser Sub Committee of the Cosmetic Surgery Credentialling Council in New South Wales representing The Royal Australian College of General Practitioners. She is a hearing member for the New South Wales Medical Board, is medical consultant to a variety of general public groups and speaks at medical and lay meetings on cosmetic procedures and is a medical adviser for Mothers Incorporated. She is a Fellow and Diplomate in Aesthetic Medicine ,ACAM and ASCM, Board Certified and Diplomate in Aesthetic Medicine, American Academy of Aesthetic Medicine (AAAM) and a Fellow in General Practice , FRACGP. She is a Medical Director/ Owner of Medlife Medical Practice in NSW and enjoys working as a General Practitioner and Cosmetic Physician. She is also a MiC (Medical Student) Supervisor of University of Western Sydney (UWS), School of Medicine. She has Masters in Hospital Administration (MHA) and had completed Post-Graduate Diploma in Practical Dermatology (DPD) at Cardiff University, Wales, UK. She and her family are dedicated to support missions, especially Medlife Missions Australia, a mission project of Medlife Medical Practice. Dr Eddie Roos graduated from medicine in 1988. He worked in South Africa for 10 years before moving to Australia in 1998. He since, has worked in Queensland and has moved to Toowoomba in 2004. He is the founder of Cosmetic Elegance Clinic in Toowoomba and has been doing Cosmetic work since 2001 when he bought a beauty salon and was doing sessions in Toowoomba and Brisbane. He has got a keen interest in laser work and light based therapies. Quality of service and keeping up to date with the latest in cosmetic medicine is the most important priority for Dr Roos and his staff at Cosmetic Elegance Clinic. Enhancing the natural beauty of clients using non-surgical procedures is his mission. Working in Rural Queensland has exposed him to the effects of Skin Cancer and he has got a keen interest in skin cancer surgery and doing it in a way to preserve the patient's cosmetic appearance. 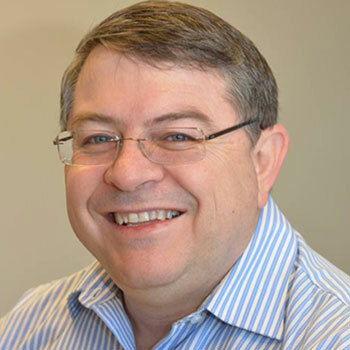 Dr Roos has obtained a Batchelor of Medical Science degree, in 1984 and MBChB Bachelor of Medicine and Surgery in 1988. Doctor Larissa Miller has been practicing since 2002. Her areas of specialty include dermatology, cosmetic medicine, hair loss treatments. She holds the position of Head of Aesthetic Medicine Institute . She is a trainer for numerous organisations, including cosmetic medicine, Medical Board (AMC) and College examinations. Member of several Colleges (Australasian College of Aesthetic Medicine (ACAM), Cosmetic Physicians College of Australasia and RACGP). Despite extensive trainings, including Harvard Medical School, Royal Australian College of Surgeons and many others, she is a firm believer in “never stop learning”. She has always had a keen interest in skin care and skin therapeutics, and comprehensive “whole body” approach to skin problems for best outcome of her patients. Dr Miller has published in Australia and Internationally and extensively involved in research. Her current research interest is ageing. She has lectured both in Australia and overseas. Dr Miller is a keen artist, graduated from Art school.